The luxury fashion industry has a lot to think about when it comes to its supply chains. A new report by Kering found that the high-end fashion market is going to be particularly affected by climate change. The study's introduction cites the Carbon Disclosure Project, which found that of a corporation's carbon emissions 50 percent is attributed to the supply chain. For the luxury fashion industry, these emission numbers come primarily from raw material production. Kering points to the luxury sector's heavy reliance on high-quality raw materials as the primary reason for the industry's increased vulnerability when it comes to climate change. The most at-risk products include cotton, cashmere, silk and sheep and calf leather. The report goes on to prescribe a three-step plan which focuses on increased efficiency and inventive approaches to raw material production within the current supply chains. Step one: Identify supply chain vulnerabilities and risks - This involves mapping out supply chains within the luxury sector and identifying key problem spots and potential areas of high risk. Step two: Attack the problems - In this step, suppliers and industry leaders will put systems in place to alert them of disasters in advance. This step also involves optimizing production techniques to require fewer resources overall. Step three: Monitor the efforts - Unfortunately, these methods will need to be measured by practice. As companies, suppliers and executives implement these strategies, they will need to pay close attention to their effectiveness. Relevant fixes must be made and successful techniques must be cemented into company policy. The report by Kering highlights the luxury industry's potential to pave a path for more sustainable practices throughout supply chains. "Given the luxury sector's reliance on high-quality raw materials, we must understand the potential vulnerabilities that climate change will pose to them and be proactive in building resilience across our supply chains," noted Marie-Claire Daveu, Kering's chief sustainability officer. Kering is taking an earnest stab at fixing a very big problem in the fashion industry. While the report primarily focuses on the dwindling supply of key raw materials, the actions set forward by the plan may have the added bonus of combating climate change. 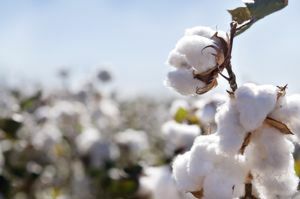 For cotton alone, the apparel industry is responsible for 2.6 per cent of the water use globally, according to Environmental Leader. With a huge pre-existing imbalance in water supply and demand, this is a considerable chunk of a dwindling resource. As such, the source suggested that perhaps the apparel industry should take initiative in introducing resource-conserving measures. While the evaluation of supply chain practices is a step in the right direction, much more will need to be done on both industry and consumer ends. EL also noted that for a sector that uses up massive amounts of resources, the product created is very expendable. In the U.S. alone, the average person scraps 72 pounds of clothes. Of this discarded clothing, 85 percent ends up in landfills or incinerators, explained the source. With numbers like this coming from a single country, the potential for waste globally is catastrophic. In order to efficiently combat climate change and its effects, consumers must evaluate their consumption habits and industry leaders must examine their production practices. It is only through a combined effort that the effects of our often wasteful supply chains can be combated. The efforts don't need to be monumental. EL pointed to a company called Dutch aWEARness. The brand opts for polyester oppose to cotton. This one switch decreases energy usage by 64 percent and water usage by 95 percent. Increasingly, companies will need to seek out environmentally friendly alternatives.